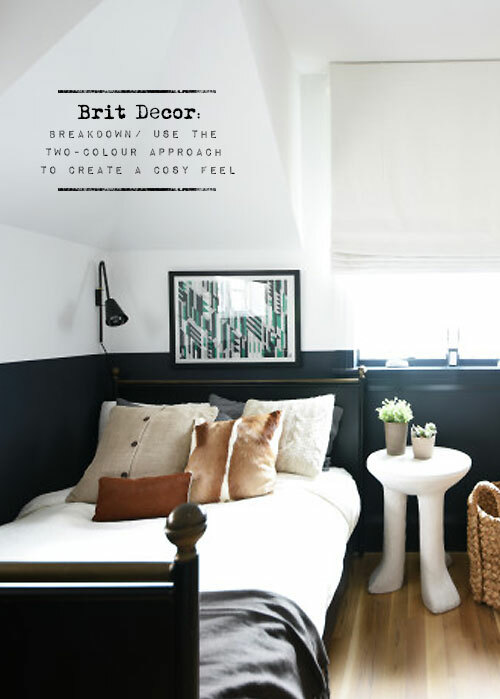 It's difficult not to overlook the growing number of interiors sporting the latest trend in paint decoration; two colour, or half-painted walls. If like me, your approach to paint shopping is akin to that of a kid in a candy store due to the vast library of paint choices available, then this may be the trend for you! Let's indulge. One of the many aspects I love about this amazingly simple trend is that you don't need a dado rail to achieve the 'look'. In fact, one of the big visual draws to this style of decor is the clean-cut dividing line between the two paints, which can be achieved merely with some masking tape. It is so simple, it's beautiful. 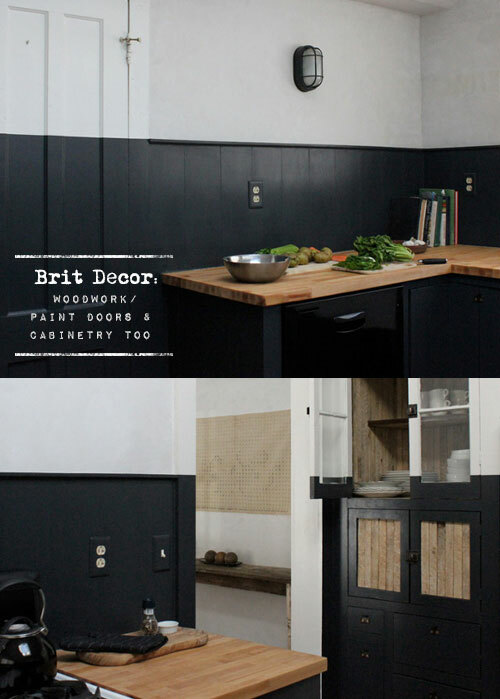 Today I've honed in on one of my favourite colour-combos to explore this style - monochrome. 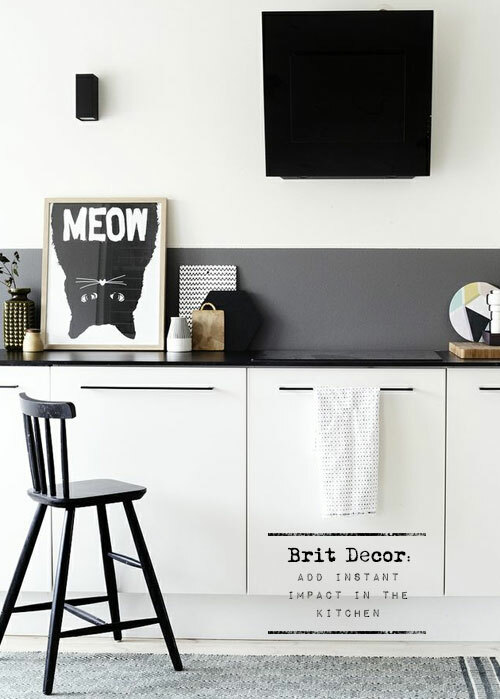 This classic black versus white palette delivers such a decisive contrast, it is guaranteed to get pulses racing. 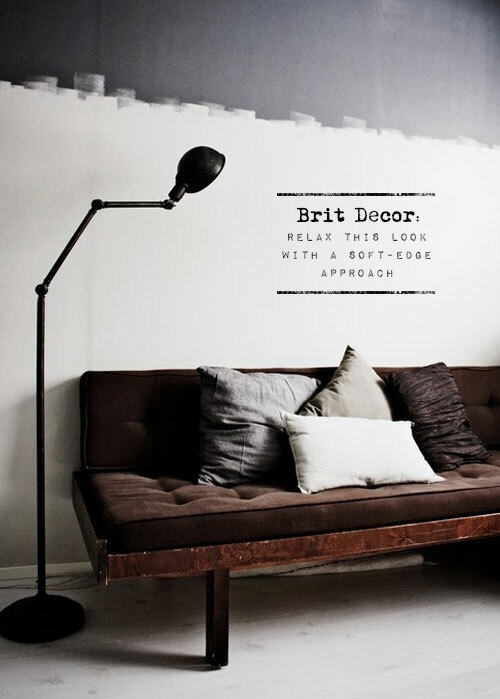 It's also a great way of breaking up a wall space and creating a more intimate feel. Maximum impact here we come! As with many key styles, it's easy to bring your own creative identity to the mix with variations on this trend, as shown in image no.3 'above', with a more dashed roller finish. Equally dramatic but slightly softer, is an ombre effect, which gives a more gradual tone between two colours. But for now my money's on the cleaner line for that uber-sharp contrast. I am seriously tempted, are you?? 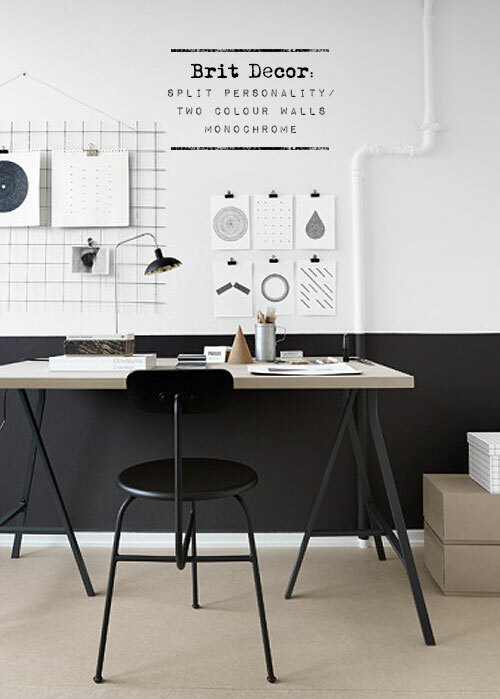 Loving the idea of a two tone wall, definitely bang on trend as you can't go wrong with a monochrome (well not really), but also I'm thinking rather practical with a dog that likes to rub herself along the walls - weird I know!